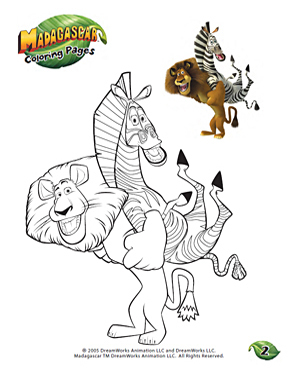 While lions and zebras might not be too friendly with each other out in the wild, they are the best of friends in the Madagascar world! Meet the two best buddies, Alex and Marty, being their usual goofy selves and having a whale of a time in the fun coloring page. Color the picture now using the color example as reference.